Hamilton Palace was the largest non-royal residence in Britain, possibly even in Europe. It was the main residence of the Dukes of Hamilton from at least 1591 until 1919, but subsidence caused by coalmining led to its demolition in the 1920s. The destruction of the Palace, and the dispersal of its contents, is now regarded as one of the greatest losses to national heritage ever to have happened in this country. The story of this amazing building and the powerful family who created it is told in Low Parks Museum through photographs, DVD and even some original objects from the Palace itself. 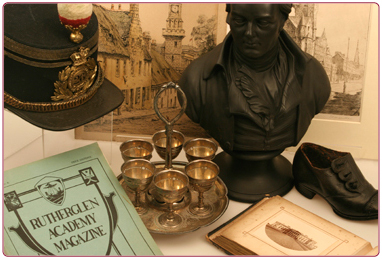 With over 150,000 objects in our collections South Lanarkshire Museums, has something for everyone from fire engines to a 110 year old Boer War plum pudding. 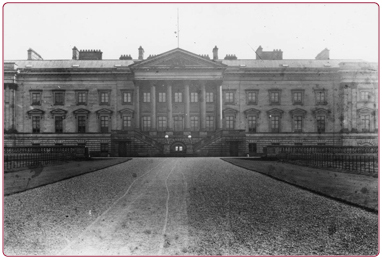 Hamilton Palace was the family seat of the Hamilton’s from at least 1591 until 1919. 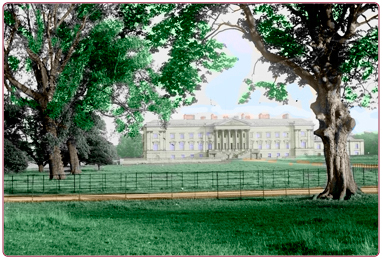 Demolished in the 1920s, the Palace stood in the Low Parks of the Hamilton estate. This web site gives a glimpse at the lost palace, recreating it virtually and providing further information about one of Scotland’s most famous buildings.